Dr. Thompson graduated from Virginia-Maryland College of Veterinary Medicine in 2015. She grew up in Gresham and has loved being back home in this community! 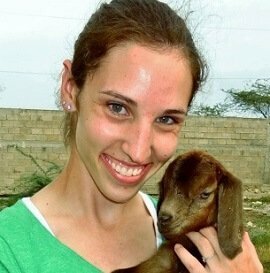 Her professional interests include small-scale farm animal medicine (especially goats!) and companion animal medicine. Dr. Thompson has worked with Christian Veterinary Mission in Bolivia, Honduras, and Haiti. She and her husband, Andrew, enjoy hiking, traveling, and coffee.